SafeWise puts leading home security companies Vivint and ADT head to head to compare pricing, contracts, equipment, home automation, and customer service. Getting your home security system installed by a professional is appealing: no guesswork when it comes to placing cameras and sensors, and no squinting at instruction manuals. Instead, you just set the appointment, then relax and let the professionals do the work. But how do you choose which company to trust with your home’s security? Both ADT and Vivint offer professional installation and have consistently scored well in our reviews over the years. 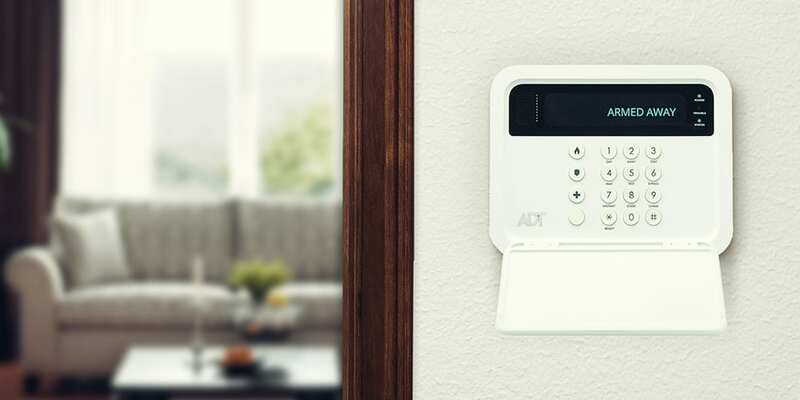 Each has similar equipment and monitoring, but ADT is a little more traditional with plans and pricing, while Vivint is more forward-thinking when it comes to packaging its services. We decided to put the two companies side by side to get a better feel for their similarities and differences, so you can make the best decision for your home and your budget. Because Vivint doesn’t offer basic plans like ADT, we took ADT’s most basic smart system (ADT Pulse®) and compared it to a similar à la carte bundle from Vivint to get an equitable match for price comparison. What Do Vivint and ADT Have in Common? How Are Vivint and ADT Different? It only takes one look at the Vivint website to see that Vivint is all about smart home automation. The company earned our top spot for the Best Smart Home Security Systems because of its smart-home focus. You won’t find any budget-friendly basic security options with this company: even Vivint’s most basic packages include remote access to your security system through a mobile app. Its devices all use Z-Wave technology, so they’re compatible with a wide variety of other smart products on the market, including Amazon Echo, Nest®, Google Home, and doorbell cameras. Unlike other home security companies, Vivint doesn’t have prepackaged plans. Instead, you buy only the equipment you need. You can pay for it up front or have the cost rolled into your monthly monitoring fee. But keep in mind that if you finance the equipment, you’ll be locked into a monitoring contract that can last for 3.5 or 5 years, depending on how quickly you want to pay off your equipment. If you don’t finance, you can pay for monitoring month by month. Contract flexibility makes Vivint a great option if you don’t want to be stuck with a long-term contract. Read our full Vivint home security review. ADT has been a leader in home security for decades, but its lengthy contracts are a turnoff for a lot of people. ADT has six redundant monitoring centers to make sure you’re never without help in an emergency, and its longstanding experience in the security field is a definite plus. If you’re just looking for something simple, ADT offers basic, budget-friendly systems without home automation. The equipment is wireless, but only top-tier systems offer Z-Wave compatible devices. ADT insiders tell us that the company’s panels will be getting a major technology upgrade at the end of 2018, so that will be something to watch for. No matter what kind of system you choose, you’ll have to sign a monitoring contract with ADT before your system is installed. Contracts are for a minimum of three years, and you’ll also have to pay for the cost of leasing the equipment up front. One standout feature of ADT’s contracts is the six-month money-back guarantee—if you decide you don’t like your system or service, you can cancel it at any time within six months after you sign the contract. ADT will refund any monitoring fees. Find answers to common ADT questions. 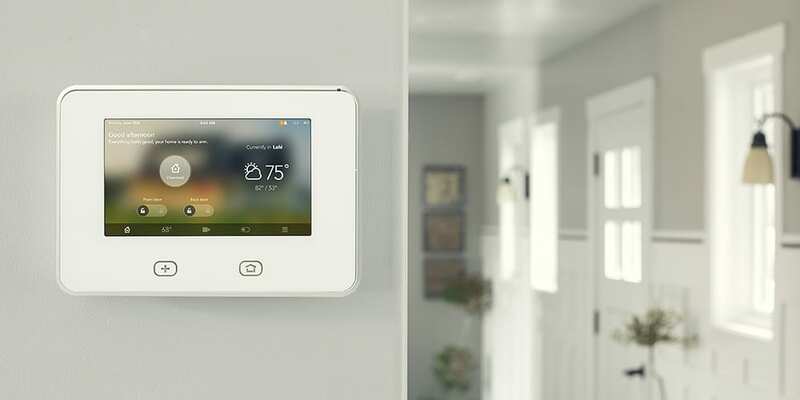 As much as we love ADT’s strong reputation, Vivint provides the same smart devices with reliable monitoring for a lower price. Vivint’s à la carte approach lets you choose the equipment you want, so you’re getting only what you need. With Vivint you’ll own the equipment, but with ADT it’s only a lease. On the other hand, ADT has a longstanding reputation that can’t be ignored. Its equipment is consistently high quality, and its customer service is top notch. Vivint wins easily when it comes to flexibility and low prices. With Vivint, there’s no up-front cost for a system, and even if you roll in financing, your monthly fee will be lower than it would be with ADT. We’ll give this one to ADT. Around-the-clock customer service, good reviews, and many loyal long-term customers are a solid indication that ADT stands by its products. Vivint just barely wins this one thanks to the SkyControl panel. Its two-way talk feature lets you speak to a monitoring professional when your alarm goes off. If you’re looking for cheaper prices, flexible financing, and shorter contract options, Vivint comes out on top in this face-off. But if you can pay up front and you’re ready to settle into a long-term relationship with a company with a great track record, ADT might be the better choice.